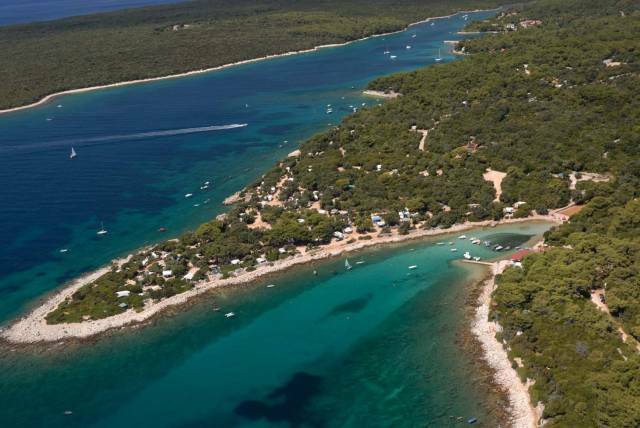 A green and, for the most part, forested peninsula is only a few minute drive from the Rovinj's town centre and is a place of perfect peace and quiet. A kilometre long pebble and rocky beach makes it ideal for a carefree holiday and those in love with the sea, for they can enjoy swimming or simply take in the view of its blueness, but this is also an excellent place for experiencing new adventures. 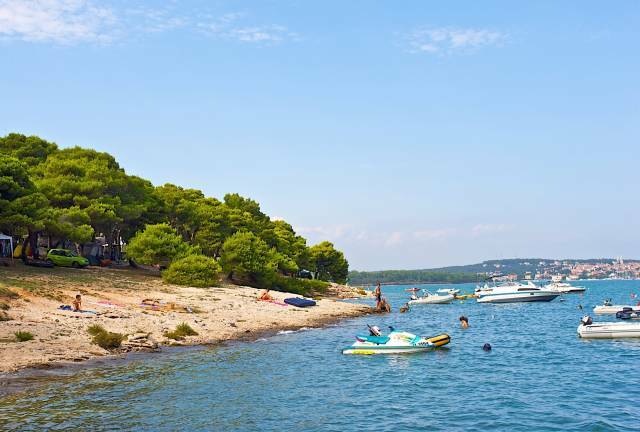 Connoisseurs and gourmets should visit local restaurants specialized in Istria's cuisine and fish specialties and savour the delicacies on the beach enjoying the view of Rovinj. The campsite is connected to the mainland by a regular boat service. 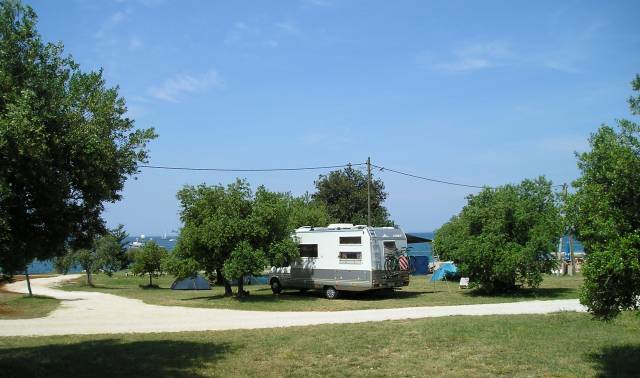 The campsite offers various services, such as tennis courts, fitness studio, table tennis, beach volley, basketball and a diving centre. There are also has many children's playgrounds. Recently arranged promenade stretches along the sea from the Beach Bar to the swimming pool in the neighbouring Amarin resort.